Not to be mistaken with a pub in Siem Reap called ‘Angkor What’. Angkor Wat is the City of Temple. 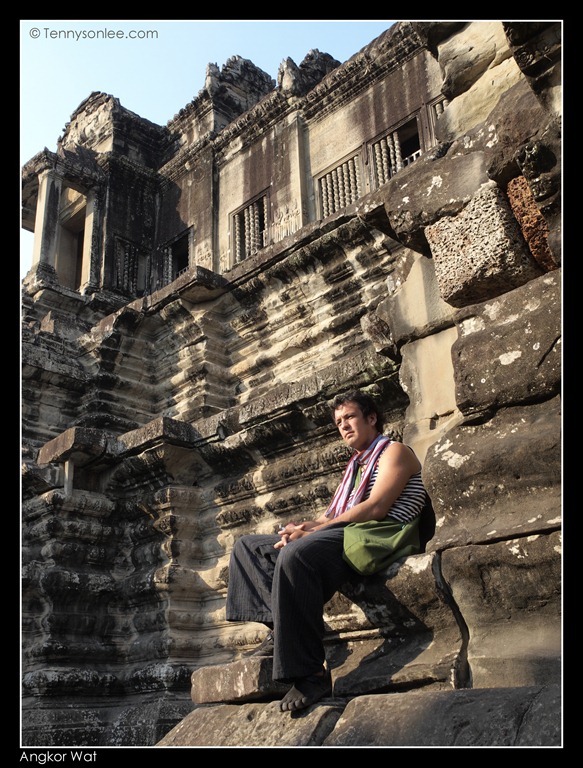 One of my goal materialized when I finally set foot at Angkor. I have to wait in total darkness for an hour to get a glimpse of this wonder of the world. It was a wonder because how could an ancient civilization accomplish the mission impossible in 35 years? Those nice cathedral in Europe easily taken 100-200 years to complete. 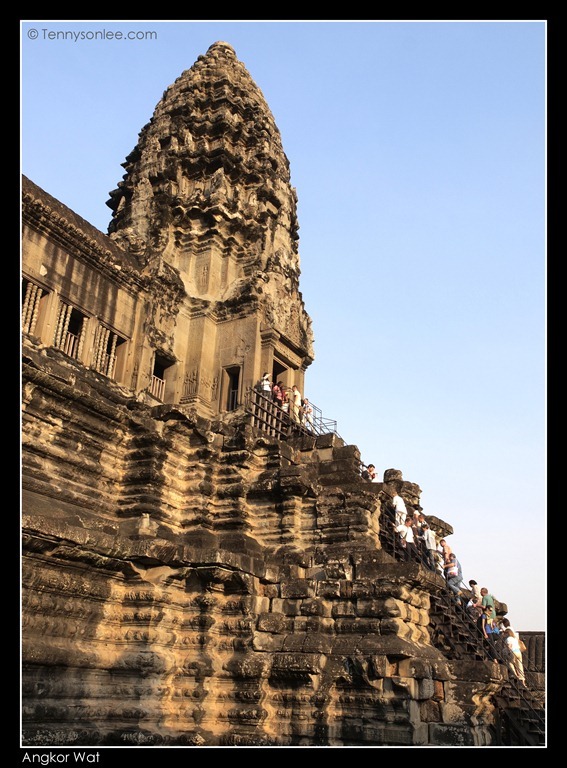 Angkor Wat is the only temple in Angkor Archaeological Park that has the entrance facing west. So it suggest that it was built by the powerful King Suryavarman II to prepare for his after life (similar to the function of the pyramid as mausoleum). The temple was almost complete when Suryavarman II died. The curving found in Angkor Wat were high in quantity but the quality was not as impressive as those found in Banteay Srei temple. 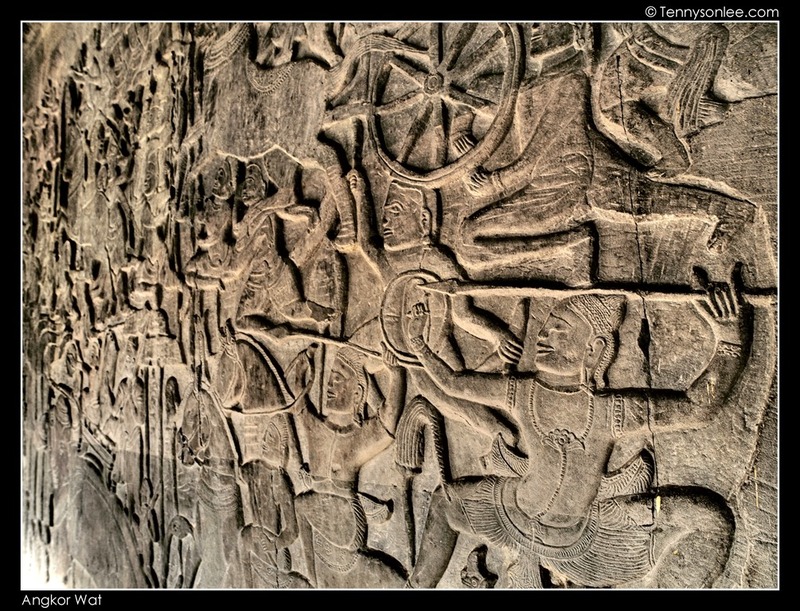 The bas reliefs were mostly about wars (those in the Bayon were depicting local lifestyle). The best way to tour this vast temple in the morning would be walking all the way to the back of the temple. This would go against the general tourists who enter from the front (west). Another key advantage was the sun was shining from the east, so we could get better lighting (you will set silhouette if coming from the west). Go straight to the Central Prasats (the tallest tower) because visitors have to queue and to be checked (no exposing clothing, no tripod). So it was advisable to wear long pants and proper shirt or blouse. If you enter by the east, then it would guarantee for a short queue before climbing up the steep stairway. It was a nice view from the top of the prasats and have the entire view of Angkor. 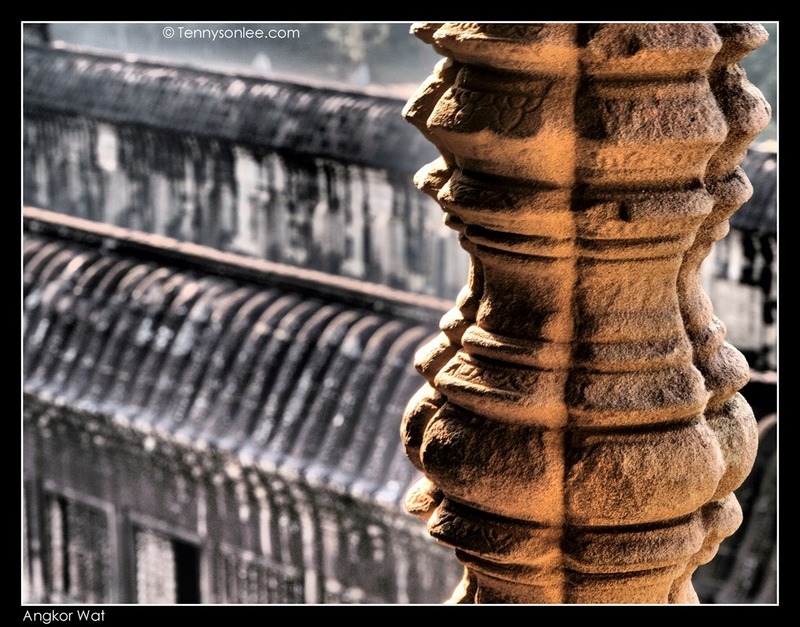 It also provided a bird eye view of the lower building structures such as galleries. 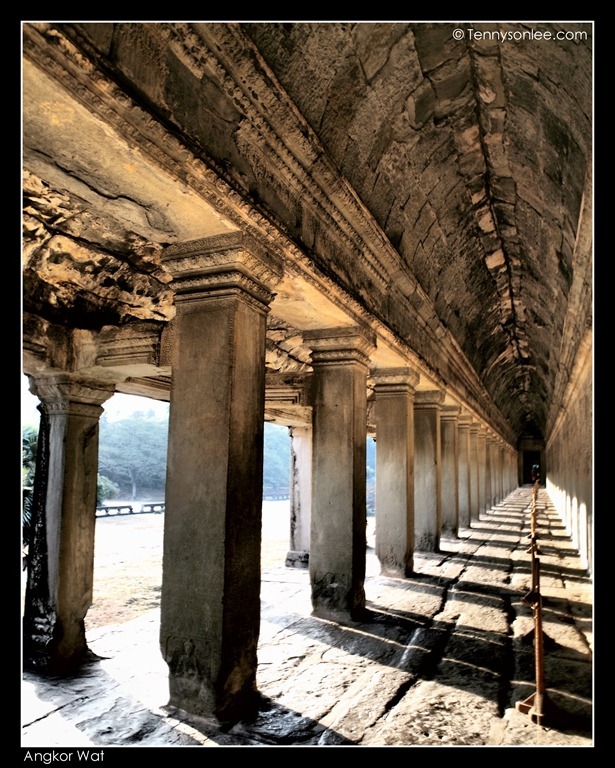 If you have plenty of time (or to avoid the hot sun), strolling down the long gallery and looking through the bas reliefs would be a nice thing to do at Angkor Wat. 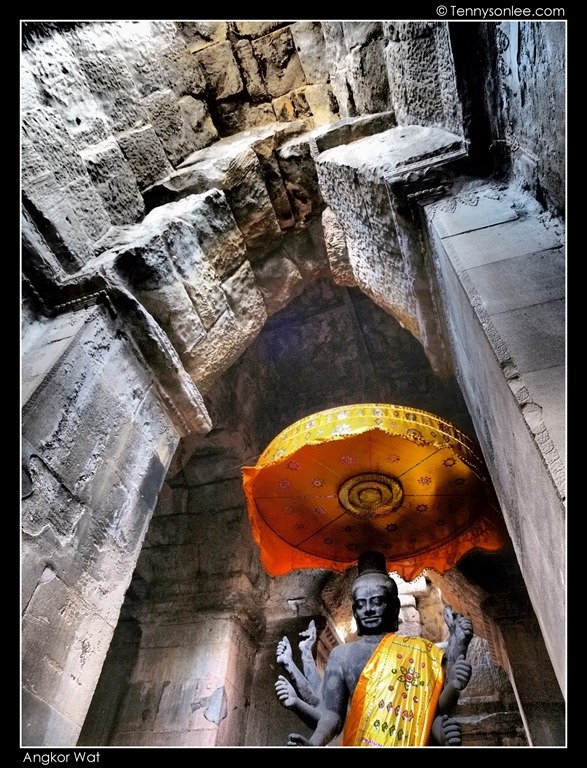 All the rocks used for the contruction of Angkor Wat was taken and transported from Phnom Kulen (Kulen Mountain). The smart Khmer engineers used the river and moat to transport the heavy stone. You could see the oxidized (red colour due to the iron element inside the stone) stone exposed in many part of the building. This mausoleum was later converted to become a Buddhist temple, thus the word ‘wat’ came about. 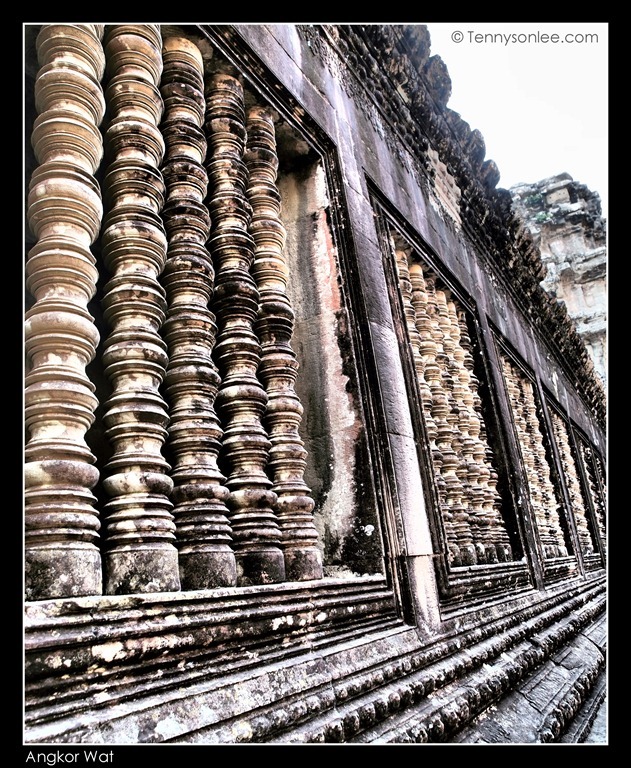 The sandstone windows of the Khmer temple has unique cylindrical columns. Another very interesting decoration within Angkor Wat is the comical hairstyle and expression of the Apsaras. 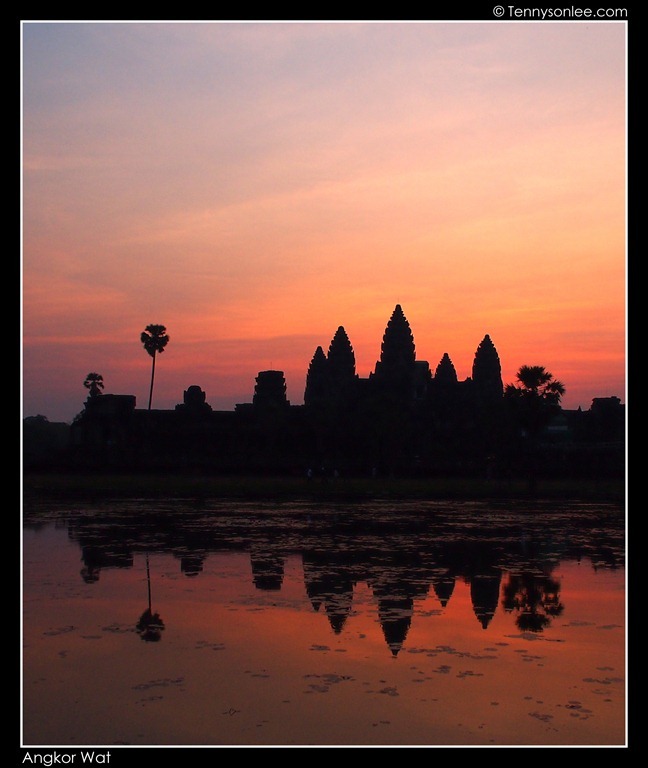 As a UNESCO World Heritage site, Angkor Wat does not need more introduction. I just want to share with new traveller who may benefit from the tips I gathered from other information sources and also from actual experience. p/s: if you like to join the crazy sunrise session, come early (like 5am to ensure a good spot) and bring torch light. Good to wear a scarf or long sleeve shirt to donate less blood to the mosquitoes, and keep you body warm (if it is winter season, still 25 Celsius). This entry was posted on January 27, 2012 by Tennyson. 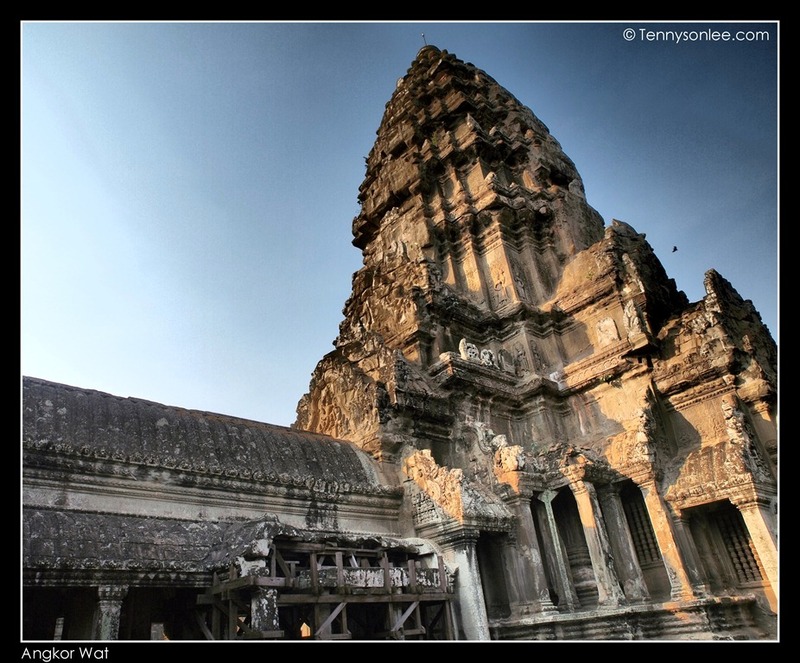 It was filed under Cambodia, Places, Siem Reap and was tagged with Angkor Wat.